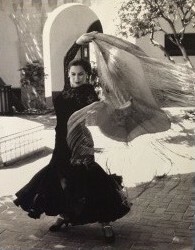 Stephanie, a diverse Spanish/flamenco dancer, has over the years performed in dance companies in New York City, Washington, D.C. and California. 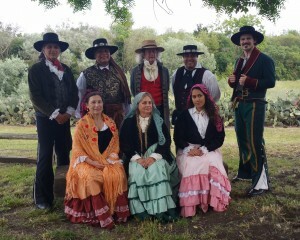 These performances included Spanish contemporary dance, flamenco, the jota Aragonese, Spanish and French Baroque and early California dance from the “Rancho Days”. 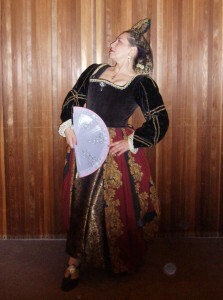 While continuing to perform she is dedicating more time to helping her students with flamenco basics to gain knowledge about the different rhythms (palos) and the style one uses with each of these palos. With Spanish Baroque dance she is passing on what she has learned from her teachers who have researched and studied from written sources the steps and the dances of centuries ago like the Españoleta.